New year, new developments: Installing the largest community energy battery in Europe, building the solar farm and BBC radio, TV and news coverage. The start of the year welcomes further key developments for the launch of Project SCENe. This is the generation, storage and retailing of local renewable energy and the optimisation of this, related grid services and community consumption and benefits through the Innovate UK supported project. A flagship project for the Energy Research Accelerator (ERA), the project brings together expertise from a range of partners to showcase a new model of doing energy, housing and community development that meets local, regional and national policy needs and offers social, environmental and economic benefits across a range of scales. 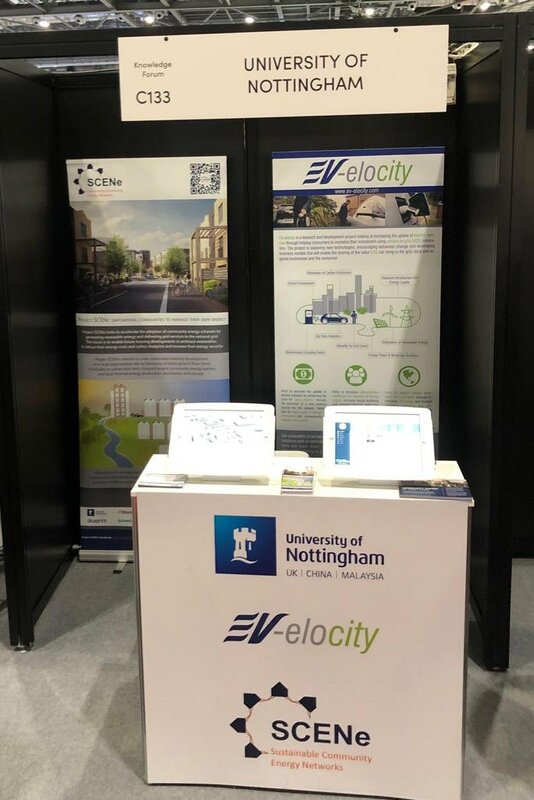 In recognition of the importance of this, the project is highlighted in the recent UK100 report (p.35), and the UK Smart Cities Index (p.39) and was last week featured on BBC radio, TV and news following filming at the Trent Basin site and interviews with Professor Mark Gillott, Chair in Sustainable Building Design at the University of Nottingham, and Nick Ebbs, Chief Executive of Blueprint, a developer specialising in sustainable homes and workspaces. 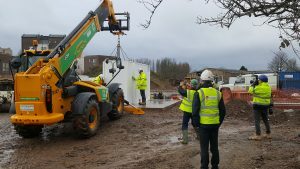 The BBC coverage above follows the installation last week of the project’s 2.1 MW battery, the largest community energy battery installed to date. From world leading TESLA and Installed by local and multi-award winning EVOENERGY, the battery component of the project reflects the game changing role battery storage is poised to have for the use of renewable energy and the sustainability, stability, security and cost-effectiveness of national, regional and local energy networks. 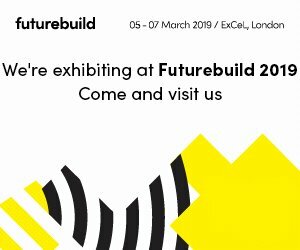 With the UK treasury’s latest budget including a £400 million Charging Investment Infrastructure Fund and exponential growth of the global battery sector, this space is certainly one to watch. Evoenergy at the Trent Basin site installing the 2.1 MW lithium-ion Tesla battery. In line with this, installation of the project’s local solar photovoltaic (PV) farm is commencing this week after much backstage preparation. 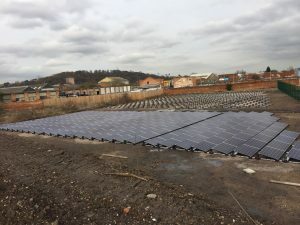 The solar farm will generate green electrons that will be stored in the adjacent battery and used by the local Trent Basin community and national grid when needed. This is being managed and optimised by a local Energy Services Company (ESCO) run by the award-winning SmartKlub, and will be complimented by rooftop solar PV generation and ongoing research, development and consumer engagement. For more information about this see the project website, twitter, facebook and innovative public forum. The development of Project SCENe’s 200 Kwp solar photovoltaic farm, with award-winning Solar Ready. 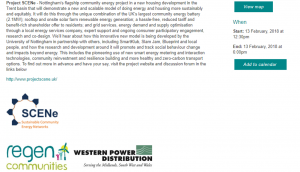 Finally, registration is now open for a public event next month featuring Project SCENe and run in partnership with REGEN and Western Power Distribution (WPD). 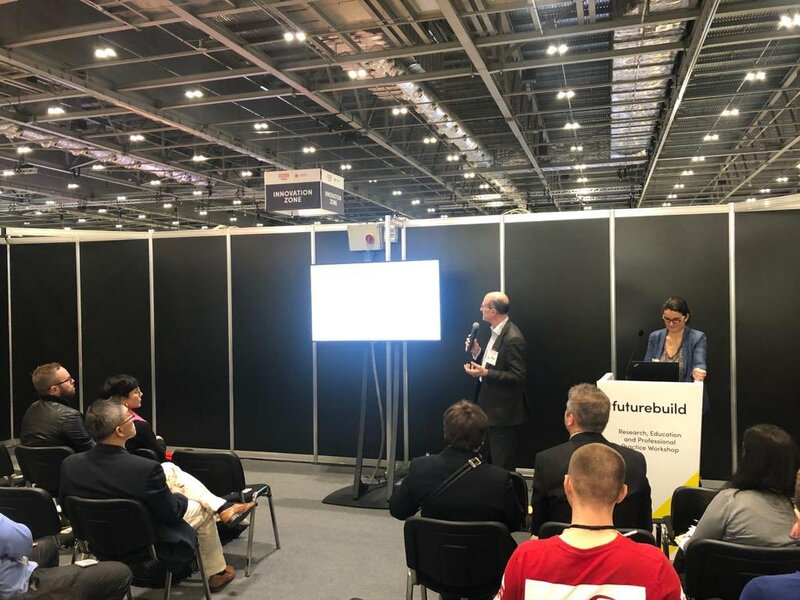 The event includes presentations from WPD, the electricity distribution network operator for the Midlands, South Wales and the South West, Project SCENe, the Carbon Co-op and Open Utility, as well as interactive workshops and discussions. It brings together community energy groups, local authorities, academics, and local energy stakeholders who are interested in learning more about and creating a better energy system. To join us to the event or to find out more, visit the event webpage and register here while spaces remain. 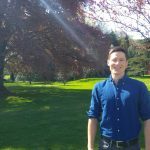 Regen and Project SCENe share the goal of accelerating more sustainable and equitable energy systems and communities. Follow the links on our websites to engage or contribute to this. Compare this with the fossil fuel alternatives and the impacts these have (something the region knows well with its public-driven injunctions against fracking and history of coal mining, the last one of which only closed 3 years ago).